The Mwanzo Bora Nutrition Program (MBNP) is Africare's flagship nutrition project. This USAID- funded program, through the Feed the Feed (FtF) and the Global Health Initiatives (GHI), supports the Government of Tanzania to improve the nutritional status of Tanzanians by implementing the National Nutrition Strategy, the Tanzania Agricultures and Food Security Investment Plan (TAFSIP), and other relevant policies. The overall goal of the program is to improve the nutritional status of children, pregnant and lactating women in Tanzania, with a specific focus on reducing maternal anemia and childhood stunting in Dodoma, Iringa, Manyara, Mbeya, Morogoro and Songwe Regions, and three districts in Zanzibar (Chake Chake, Micheweni and North A). Currently, nutrition data collected for MBNP are stored in MS Excel database. The data are mainly recorded at the community level by community volunteers (Community Health Workers (CHWs) and Village Agriculture and Nutrition Promoters (VANUPs) using monitoring forms developed by MBNP. This information is summarized at level-1 (village/street) by CHWsNANuPs every month and submitted at level-2 (District/Council) to MBNP sub-grants Civil Society Organizations (CSOs) and then to level-3, (Region) to MBNP. Finally, the data submitted at level-4 to the MBNP Country Office for analysis and report writing, and finally stored. The proposed digital platform will be utilized at second level (District level) for data entry. The MBNP database system will be used for aggregating MBNP statistical data collection, validation, analysis, management, and presentation. Africare in seeking a consultancy firm (termed as consultant) to develop a database that will capture/report and store data for MBNP indicators, including: children under five years of age, number of people attending demonstration days, prevalence of anemia, prevalence of stunting and minimum acceptable diet (dietary diversity and frequency; quantity and quality); and feed these data into the existing DHIS2 africaregdb.com and dev.africare.com database. The database will be used for visualization on the performance of indicator, as well as for analysis and reporting in line with Africare's and USAID's needs. 1. Develop a database to capture MBNP indicators. 2. Train Africare Tanzania staff and other users on functions of the database such as data entry and data use at all levels. 3. Mentor the MBNP Monitoring and Evaluation (M&E) Specialist on how to develop and upgrade the database (allow for shadowing of the entire process to onboard additional skillsets within the program). In addition, the consultant will be required to do the following. Test, setup, and deploy MBNP online database and instance. The overall Level of Effort (LOE) for this assignment is 24 days Supervision The consultant will work closely with the MBNP M&E team and other project staff. Have a masters' degree, preferably in software background and development. Have good knowledge on large scale DHIS program implementation. • OSLO certification is an added advantage Please, include "Database Consultant - MBNP." in the subject line when submitting through the email address provided. The deadline for receiving applications is by close of business at 16:30, Wednesday 7th March 2018. Unfortunately, due to the large number of applications that we receive, we will not be able to respond to each individual applicant. 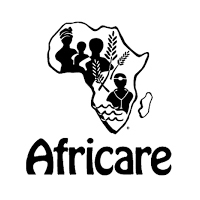 Africare is an equal opportunity employer and does not discriminate on the basis of race, ethnicity, national origin, political affiliation, religion, gender, disability, and/or sexual orientation.